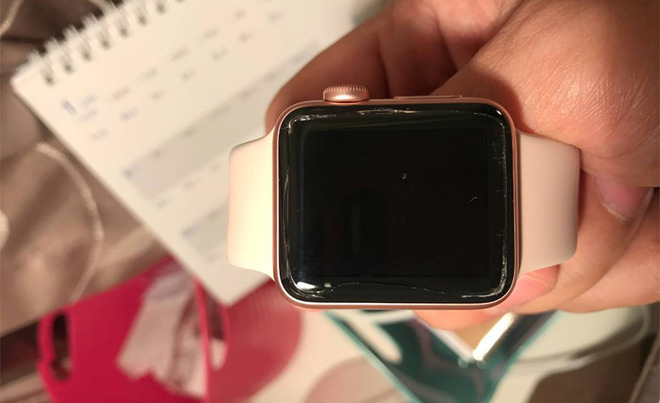 Apple on Friday alerted authorized repair facilities to an Apple Watch service coverage extension for first-generation devices suffering from battery swelling, a rare issue impacting a small segment of owners. According to an email sent out to Apple Authorized Service Providers, a copy of which was obtained by 9to5Mac, Apple is extending repair coverage for first-generation Apple Watch devices impacted by swollen batteries. With the new policy in place, users are provided two years of service beyond the gratis one-year limited warranty. The email includes internal links to related Apple Watch issues, including a service articles covering enclosure separation due to expanding battery packs and processing repairs related to swollen batteries. Like most lithium-ion battery packs, the pouches used to power Apple Watch are susceptible to swelling and expanding when punctured, overcharged, overheated or otherwise damaged. Apple products are tested and manufactured with tight tolerances to ensure consumer safety, however. For example, when a properly engineered and produced battery pack fails the incident does not snowball into an explosion or, as seen with Samsung Galaxy Note 7 devices, combustion. The number of users affected by expanding Apple Watch battery packs is unknown, but a few reports have shown up on Reddit and Apple's own support forums. According to reports, display displacement or cracking are telltale signs of battery expansion. Apple has not made an announcement regarding the Apple Watch repair extension, suggesting the issue is not widespread. The new warranty protocol comes just days after the original Apple Watch celebrated its second anniversary earlier this week.